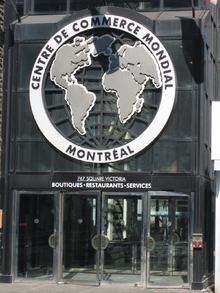 The Montreal World Trade Centre is a stunning architectural success, a fusion of historic buildings and postmodern indoor court. 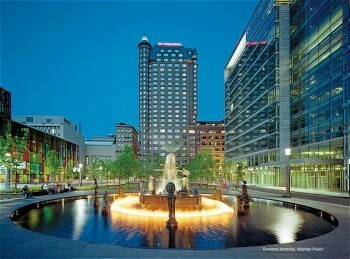 The complex is located in the very heart of the city, between downtown and Old Montreal, just a short stroll away from the Old Port. 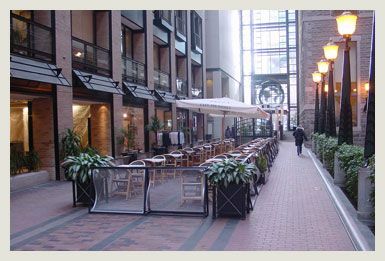 This indoor city houses offices, boutiques, restaurants and the Hotel Inter-Continental Montreal, the focus of activity for the tenants, customers and out-of-town visitors who frequent the complex. 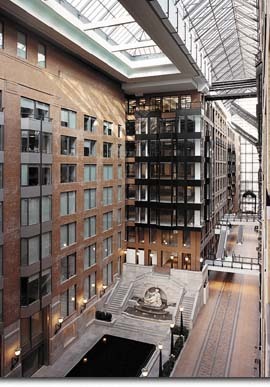 The main focal point of the complex is the ruelle des Fortifications, a 600 foot glass- covered passage that follows the original line of the Old City walls. Its interior is flooded with natural light that is picked up in a magnificent granite reflecting pool. 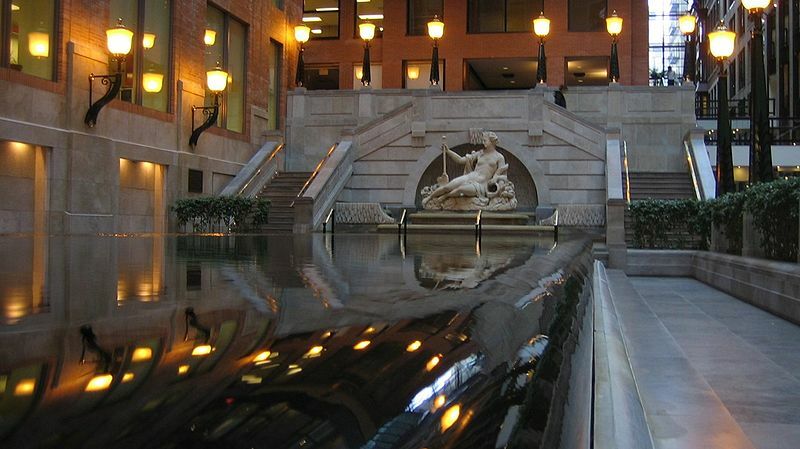 The complex is linked to Montreal�s underground network and to the Square-Victoria metro (subway) station. 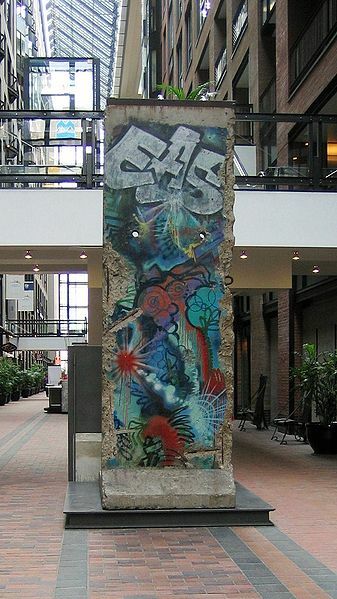 On display on the reulle des Fortifications is an imposing section of the Berlin Wall. Additionally, there may be found many displays of works of art. architect and sculptor Dieudonn�-Barth�lemy Guibal (1699-1757). for the 350th anniversary of Montreal.